Marine area 7 was pumping out some NICE Chinook this past weekend. There is a lot of mid sized herring around the islands right now. We released 18 lb and 14 lb wild Chinook and retained this 11.5 lb hatchery Chinook pictured below. Silver Horde 3.5 inch spoons in the Herring Aide pattern caught all three fish. We also lost a legal Chinook right at the boat and released two sub legal sized. Safe cruising & tight lines. Report submitted by Captain Brian Wilson from No Snow Adventures. Back to Mid-Channel! Great reports of big fish coming in from Port Townsend this weekend. Lots of rain and lots of bulldozers. Brenda Chisholm hit the 20 mark with a big fatty just off the banks. Irish Crème tailwagger in the mud in 150 feet of water did the trick she noted. Time is running out so get out there for your piggy. 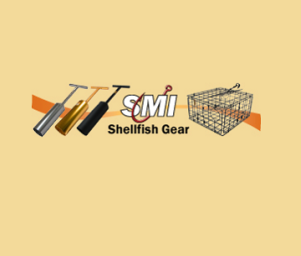 Report submitted by Nelson “Spud” Goodsell – Salmon for Soldiers, IGFA Life Member, FISHTALE2. The cover image of this week’s reports was also provided by Goodsell. The salmon fishing has been very slow this week with the wind, rain and poor fishing tides. The salmon fishing should improve starting this weekend with the predicted better weather and tidal conditions, try Trolling, jigging or mooching in about 140’ to 160’ of water near bottom at the Clay Banks, Shelf area and Pt. Evens is due to start producing soon too. Call for a more updated report at (253)404-3960. Hours are 6:30 am to 7:30 pm 7 days a week currently. 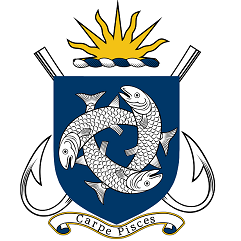 Basic Fishing Classes -Adults (Ages 15+) May 26, 2018 from 10 am to 12 pm. 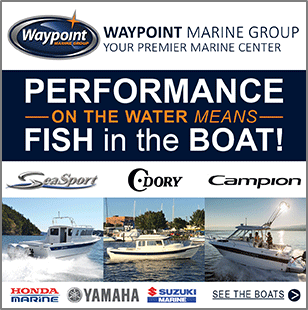 Learn local freshwater and saltwater skills, regulations, and safety. Cost $15. 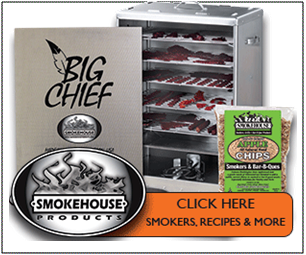 Right on schedule, our offshore chinook fishery has started! 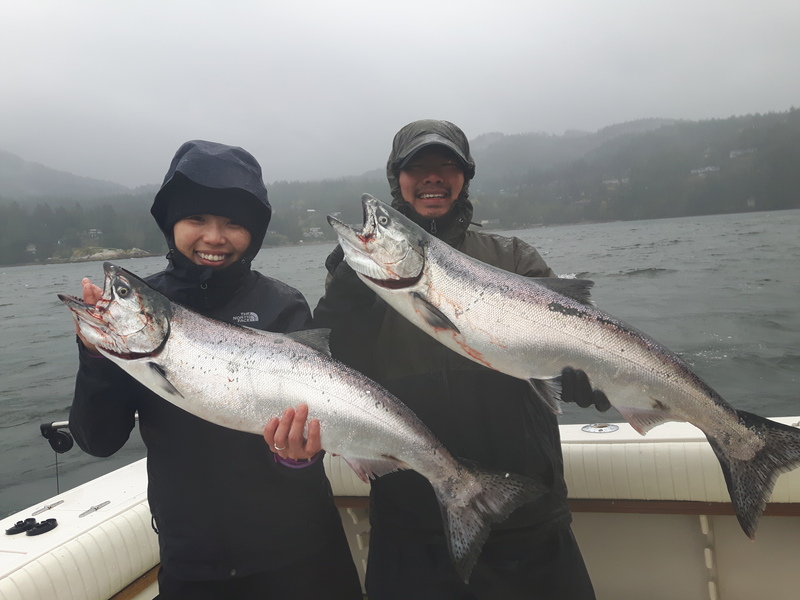 Good numbers of 8 to 15 pound chinook salmon are now out in the deep water off the South End of Bowen Island and the outer reaches of Vancouver Harbour. It has been a good first couple weeks of April, really looking forward to the second half! Every spring, the longer days trigger the first plankton blooms of the year in the Strait of Georgia. This plankton bloom draws the herring, stickleback and anchovies out into the deep water to feed. 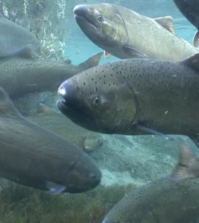 Right behind all the “bait fish” is the feeding chinook salmon. For the next 4 to 6 weeks the offshore waters will be a very good option that can provide some explosive angling opportunities. Having said that, we are fishing out in the structureless water and some days you have to spend some time trying to find them or you have to wait for the right current for them to bite. Good areas to focus on this time of year include the Hump, the QA Marker, the Bell Buoy and the Gulf Island’s. Productive depths are typically in the 65 to 150 foot range. One thing to pay attention to out there is the currents, we find that these fish don’t like to bite in heavy current this time of year. Quite often we will look for areas with softer currents if we are between tide changes or fishing days with big tidal swings. A solid afternoon of fun! The offshore fish we are getting into now seem to be keying on bigger herring and walleye pollock and subsequently bigger 4.0 spoons seem to working well. We have been running 4.0 G Force and Silver Horde Spoons. Our Gibbs Delta G Force Spoons this time of year are the Trailhead, No Bananas and the Bon Chovy. Irish Cream, Green Glow and Kitchen Sink patterns from Silver Horde have been productive as well. We have not been running bait much as on a lot of days it is hard to keep up with the undersized and the baits are constantly getting fouled. It looks like we are in for another solid spring chinook fishery in our local waters. It is very encouraging to see the strength of spring fishery in Strait of Georgia year after year. 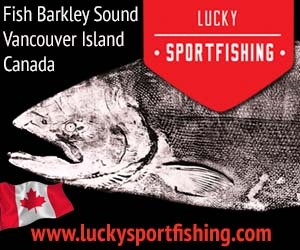 It is truly one of the most consistent fisheries in British Columbia in April, May and June. Give us a call or an email to get out there! If you have the time, an 8 or 10 hour charter is always a good bet this time of year. On our 10 hour charters, it opens up the possibility to fish the Gulf Island’s if weather and fishing conditons permit! See you out on the water…..It looks like things are going to warm up this week.. FINALLY! Salmon fishing was FAIR this past week. Most of the fish were caught inside the bay from Creyke Point to the marina. The fish have not been too large this past week with the larger ones topping out at 9 lbs. Anglers are fishing close to the bottom in 100 to 140 depths. The majority of anglers are using spoons with Coho Killers, Gibbs Skinny G’s in green/glow and green/silver colors the favorites. The GIBBS Highliner Guide Series Outfitters, Madi, Lemon Lime and Red/Glow Hot Spot flashers have been working well. Hootchies in White, Glow/Green and Purple Haze are the top choices in plastic baits. Salmon fishing is FAIR in Oak Bay. There are salmon coming in from the Gap and from the Flats but not lots of them. Most of the salmon have been on the small side, but some nicer ones to 17 lbs were caught on the weekend. The salmon are feeding on needle fish and close to the bottom where the feed is located. Most of the anglers have been either bottom bouncing squirts and spoons or jigging close to the bottom. Best bets for Oak Bay trolling lures are Skinny G and AP Tackleworks spoons and Jellyfish squirts. Jiggers are doing best with Deep Stingers and Point Wilson darts. 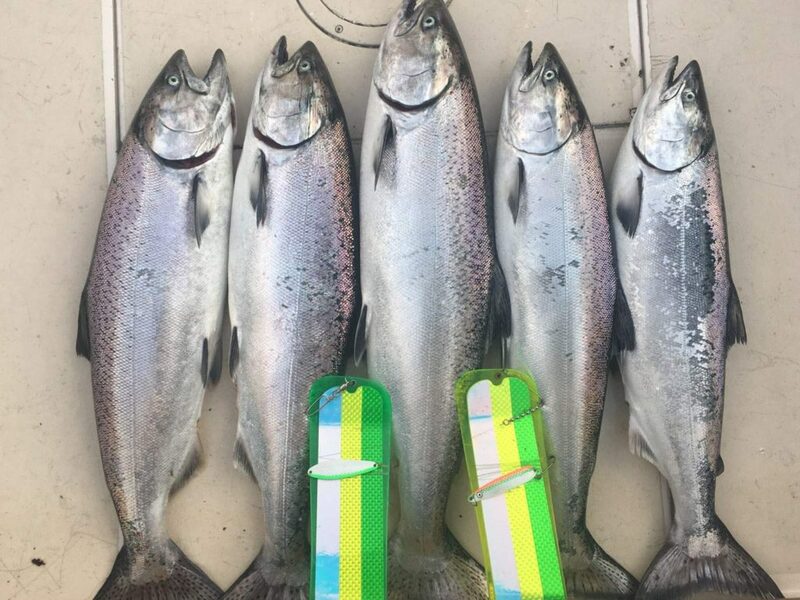 Pedder Bay Marina reports FAIR salmon fishing. The majority of the salmon have been from 3 to 6 lbs in size but some larger ones up to 10 lbs were caught. It’s been best inside Pedder Bay but slower at Whirl Bay. Most of the fish have been caught close to the bottom in 80 to 140 feet of water. The majority of the salmon have been from 3 to 6 lbs in size but some larger ones up to 10 lbs were caught. Squirts were the hot lures this past week with a green and glow, Purple Haze or UV white good color choices. Spoons have been producing the best and the Skinny G’s, AP Tackleworks and Coho Killers are the top choices. Green with either silver or glow has been the color choice in spoons. Flashers that are popular include the Guide Series Madi, Outfitters and Lemon Lime. Salmon fishing was SPOTTY in the Sidney area. That said, the largest spring salmon of the week on the south Island came from Sidney waters. Mark Kosick caught a 26 lb hatchery spring at Coal Island, 20’off Shag Rock, using Tiny Strip in a Green Rhys Davis teaser head. 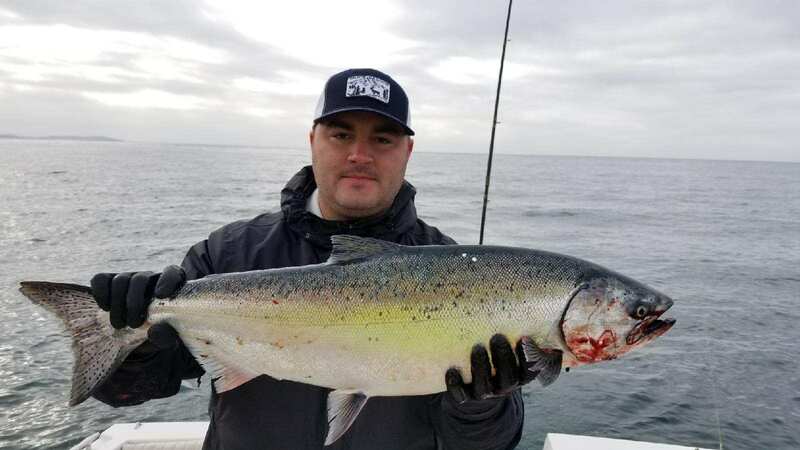 Anglers using spoons found that APT Sandlance spoons, Coho Killers and Gibbs and Needle G spoons the most productive this past week. Suggested colours are Kitchen Sink and Irish Cream. Anchovies and Tiny Strip were also good producers of fish with teaser heads in Glow or UV Purple. The salmon fishing was GOOD on Saturday but a bit slower on Sunday. 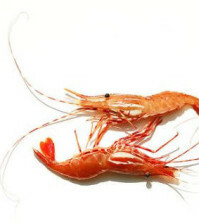 Most of the fish are from 3 to 8 lbs in size with the occasional larger one to 11 lbs. The winter springs were spread out throughout the Sooke area. 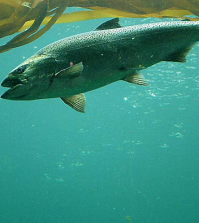 Most of the salmon are close to the bottom in 100 – 140 feet of water but there are some at mid water depths. Spoons such as Skinny G’s, Coho Killers and 3.5″ G Force spoons have been good. Hootchies in White, Glow/Green and Purple Haze are the top choices in plastic baits. Anchovies are still the most popular choice for those fishing bait. Good choices for teaser head colors are Army Truck, Bloody Nose and Purple Haze. For flashers, Red/Glow Hot Spots, the Delta Guide Series UV Moon Jelly, Madi and the Lemon Lime Chartreuse are popular. There were a few halibut caught this past weekend. Fishing for salmon was FAIR off the waterfront this past week when the winds weren’t too blustery. The early part of the week produced the best action. Most of the fish are still small, from 3 to 6 lbs in size, but some larger ones up to 12 lbs have been caught off the waterfront. In closer, there were springs from Brotchie Ledge to Trial Island. The best depths to fish were 90-140 feet but we’ve heard of some larger fish being caught at mid-water depths. Spoons have been successful in getting hook ups with Irish Cream Skinny G’s, Green/Glow AP Tackleworks Anchovy 4” spoons and Green/Glow Coyote spoons popular choices. Most of the boats out fishing were not after salmon this past weekend as the emphasis was on halibut. Fishing was SLOW for halibut this past week. Constance Bank and William Head produced a few, but not too many. Fishing was PICKING UP in most lakes for trout and bass and SLOWING DOWN in the rivers for steelhead. There is increasing anticipation of this coming Saturday’s Elk Lake trout and bass derby.